El Cajon is changing and has been for some time. Over the last few decades, the City has welcomed people who have settled here from faraway places including Iraq, Syria, and Afghanistan. 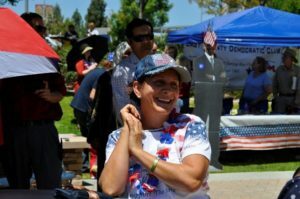 El Cajon and the surrounding area is now home to the second largest U.S. population of Chaldeans – a faith community which escaped persecution in Iraq to find a new home here. The face of the City has changed too as newcomers have opened up small businesses. Ethnic markets, restaurants, and baklava kitchens can be found throughout the valley. Larger multi-generational families now live side by side with long-time residen ts and differences in customs and culture may not always be easily understood or appreciated. However, the City has found ways to celebrate the strength of our diversity with community celebrations. America on Main Street showcases the many diverse ethnic groups with food and entertainment and features a naturalization ceremony. The needs of city residents have changed too. 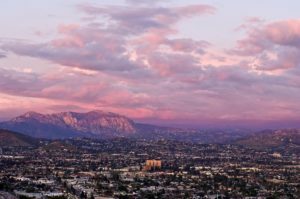 El Cajon has one of the highest poverty rates in the region. Families often have limited transportation options, and the need for better and safer connections and improved access to public transit is a high priority. The City has recently undertaken efforts to improve safety and mobility options. 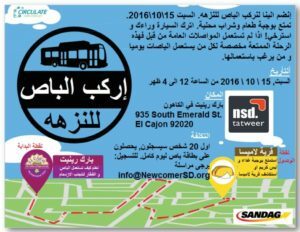 This began in 2016 with the “Be Safe El Cajon Campaign” funded by a TransNet Active Transportation Grant Program educational grant. 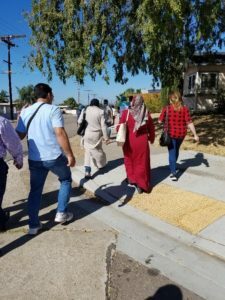 Focusing on the education of residents with a special emphasis on students and newcomers, this year-long project held regular community walks, transit-use trainings, and conducted educational outreach at community events. As part of a longer-term strategy, the City is in the final stages of preparing a plan for the area surrounding the El Cajon Transit Center. The Transit District Plan which is funded by a SANDAG TransNet Smart Growth Incentive Program Grant will plan a new vision for the area with new commercial development and housing opportunities close to the transit station. 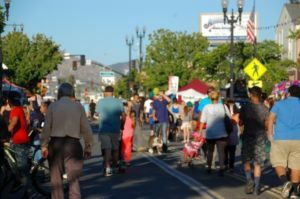 New mobility and streetscape improvements are planned that will create a multi-use path to connect the southern half of the City to the northern half which was bisected by Interstate 8. Road diets are planned to reduce the curb to curb width on multiple streets to reclaim the public right-of-way for pedestrians, cyclists, and new landscape areas to provide shade trees and stormwater treatment. A series of roundabouts is planned on El Cajon Boulevard to slow speeds and improve East-West connections across the boulevard. 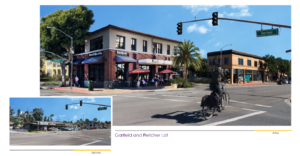 A recently approved Mixed-Use Overlay in the Fletcher Parkway, Parkway Plaza, Downtown, and East Main areas plans for 5,000 new housing units in existing commercial areas meeting the City’s regional share of housing needs through a mixed-use approach to revitalize our commercial areas with new residential units. This coupled with economic development efforts to attract new economic investment and support the expansion of existing industries and businesses is part of an overall strategy for El Cajon to adapt to ongoing changes and cultivate a place where community members, businesses, and industry thrive in the coming years.